Just over 500 years ago, Juan Ponce de Leon “discovered” the state of Florida as he was looking for the fountain of youth. 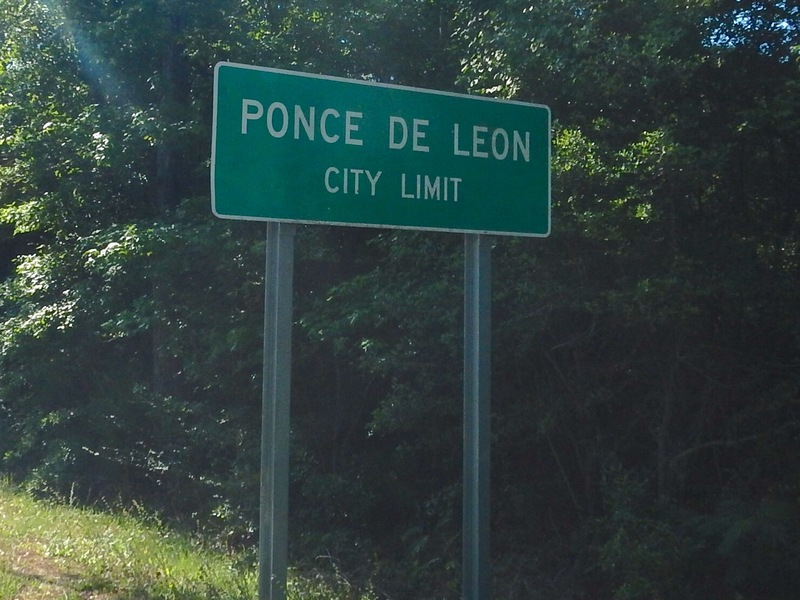 Today, we search for the fountain and find something that Ponce de Leon may have missed. Sometime during our ride, we find ourselves here. No fountains to be seen. In fact there’s not much of anything besides a public rest room. 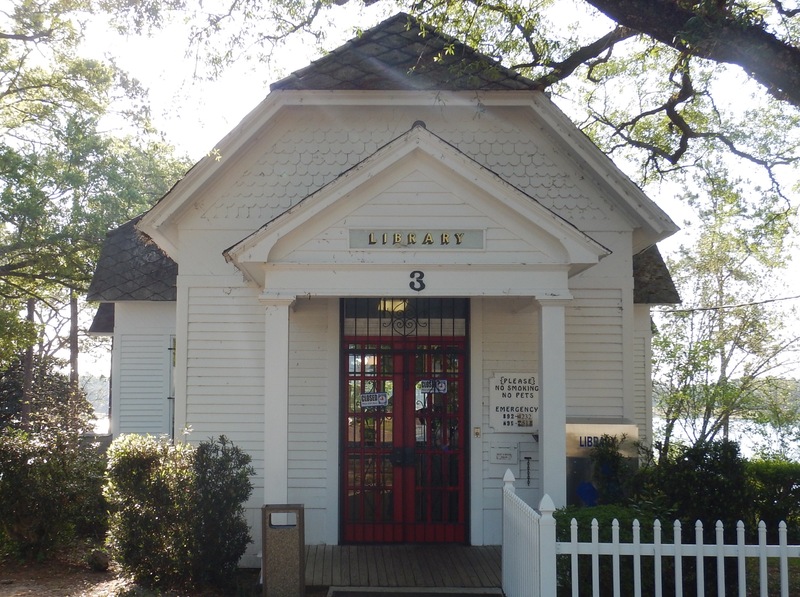 Here’s a cool building, the first library in DeFuniak Springs, circa 1886. They would have torn this down in Atlanta a long time ago. 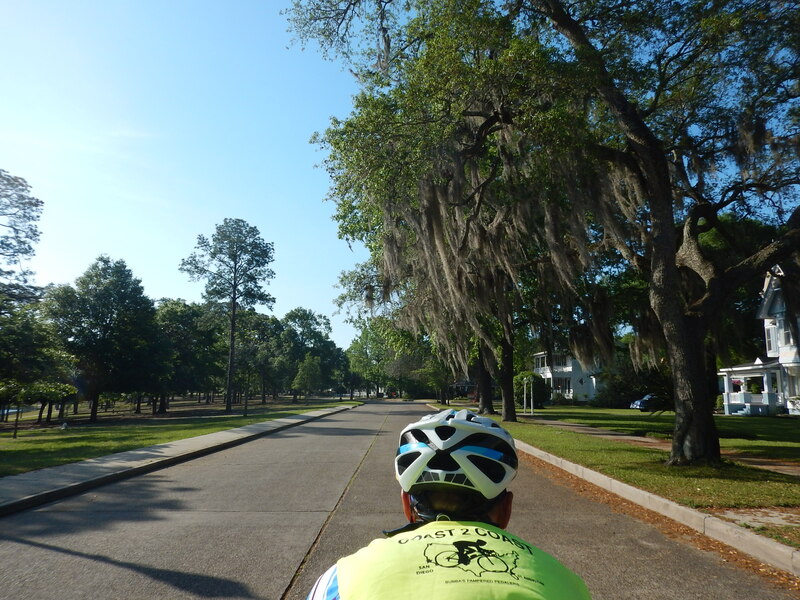 The historic district in DeFuniak Springs is beautiful. Live oaks everywhere. We spend another day fighting a light headwind. It feels like a gentle hand is holding the bike back. 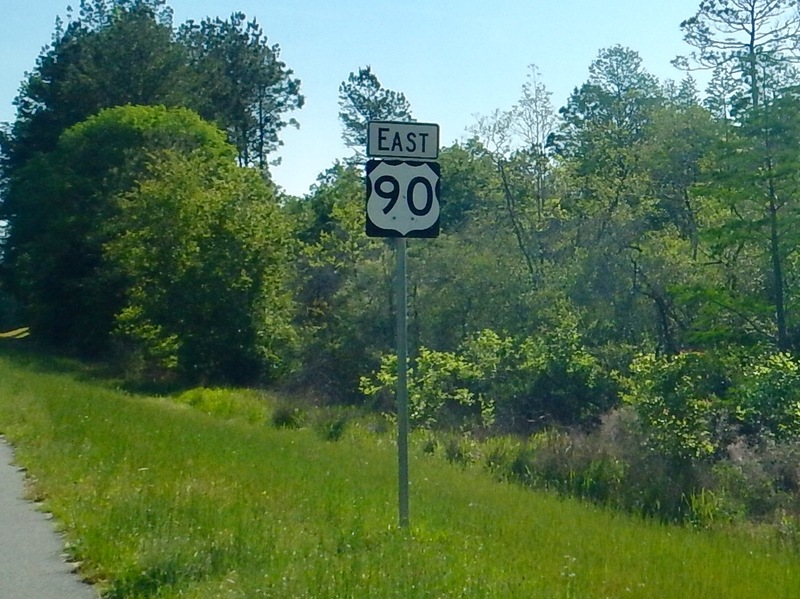 Just about the whole ride is spent on Highway 90. Thanks to the taxpayers of Florida for keeping the pavement in such good shape. At the end of the ride, a mere half mile from our campground, we do find the fountain of youth. In fact, it could be the secret of life. Ponce de Leon never had frozen yogurt. It makes anyone feel better after a 70-mile ride. Before we go, we should bid adieu to Tent 6, where we will be spending our last night tonight. Our last four nights are indoors, two in hotels and two in armories. 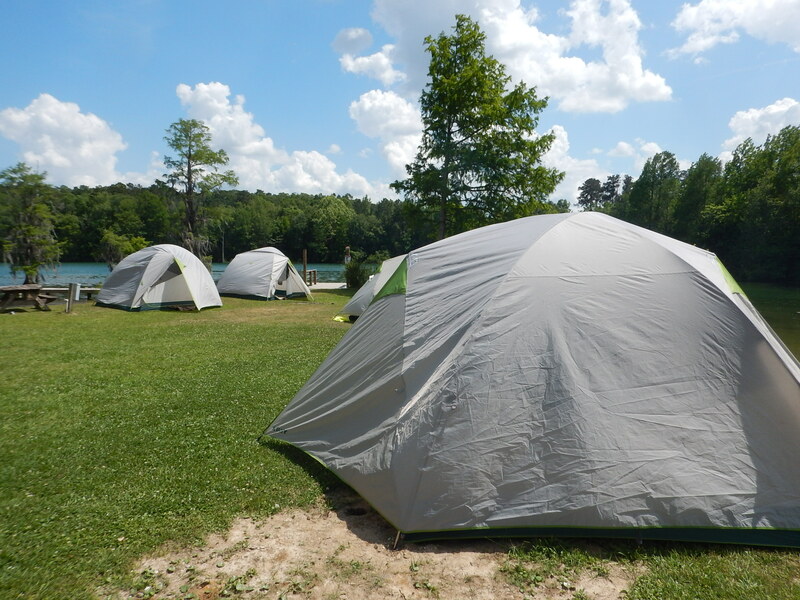 We have been through a lot with Tent 6, which helped to make us experienced campers. Tomorrow: Five rides to go. Will our legs hold up? I got a haircut in Marianna and swam in that lake, even though I was not supposed to. Keep on riding. Thanks. Tres C2C 2016.
of youth for a few years, and now you have found it! I’m experiencing anticipatory grief at having to say goodbye to Tent 6. Keep on pedaling! The fat lady is humming ! Hold up???? Are you kidding me? You can’t doubt those legs now!! Pedal on!! I’ve heard there’s some really good ice cream in St. Augustine. 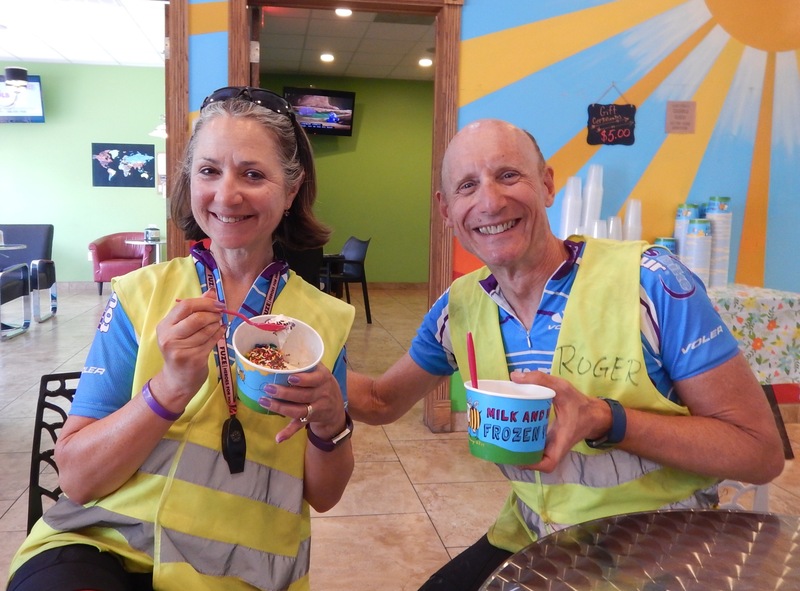 I think ya’ll have discovered your “own” fountain of youth……cycling cross country with ice cream!! Enjoy these last days. Oh and if you want more camping/biking might I recommend BRAG?! Safe pedaling.